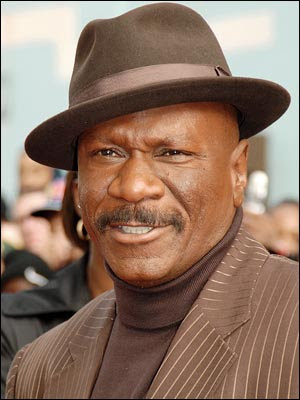 Ving Rhames Joins Indie Thriller ‘Operation’!!! Ving Rhames hit the film scene hard in the 80’s and never looked back. Since 1984, he’s had at least one, more often several, projects each consecutive year. One of his most memorable roles was as the unfortunately brutalized Marsellus Wallace in Quentin Tarantino’s ‘Pulp Fiction’. He provided the voice for Cobra Bubbles in Disney’s animated ‘Lilo & Stitch‘, and gave life to the flamboyant Fred G. Duncan in the comedy ‘I Now Pronounce You Chuck and Larry‘. Rhames has gone from genre to genre and proven to be a talented entertainer with each turn. Rhames joined the cast of a fast-paced indie, ‘Operator‘. The sibling team of Obin and Amariah Olson (‘Unknown Caller‘) are directing the actioner. Rhames joins a cast populated by Mischa Barton, Michael Pare and Luke Goss. The film follows every parents worst nightmare – a child is abducted. The child’s parents are a 911 operator and her estranged cop husband. The city’s police and fire units are dispatched to remote locations at the kidnappers’ bidding. In addition to this announcement, it’s just been released that Rhames will reprise his role as Luther Stickell in the next Mission Impossible sequel ‘M:I-5‘ . This entry was posted on Thursday, August 21st, 2014 at 10:31 pm	and is filed under Film, News. You can follow any responses to this entry through the RSS 2.0 feed. You can skip to the end and leave a response. Pinging is currently not allowed. « AMC’s ‘We Hate Paul Revere’ Gains Olafur Darri Olafsson!!! Didn't your mother ever give you a Gameboy?